Understanding the properties of different metals and how to mark, shape and finish them is an important aspect of Design & Manufacture. 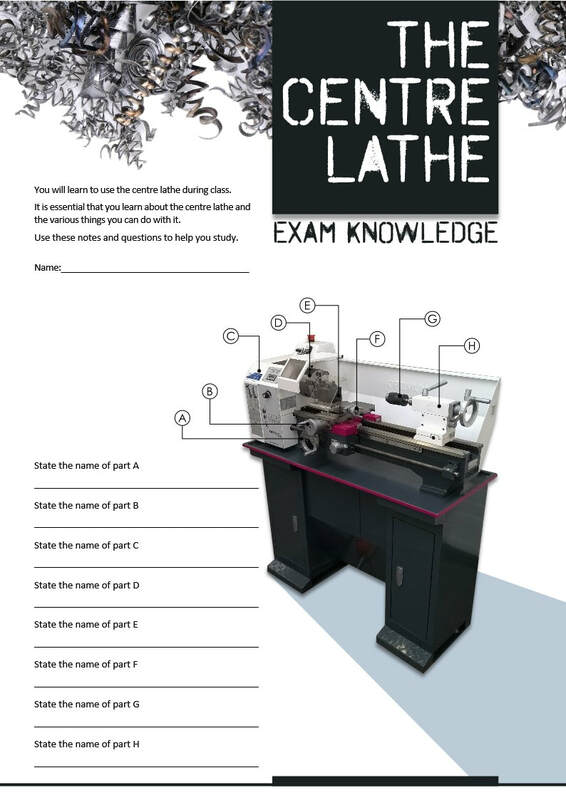 In this section, we provide a range of notes, challenges and assessments regarding metals. There are few materials so important that they have actually defined the progress of human civilisation; from the bronze age to the iron age, harnessing metals has been critical for thousands of years. ​Metals come in many different forms, each with their own unique properties. Understanding metals is essential for any designer or engineer making any product. 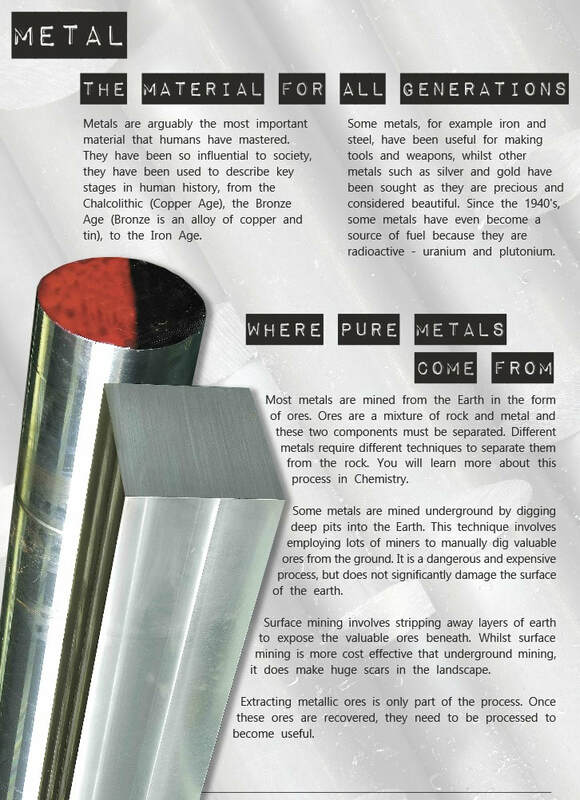 ​We use metals all the time, but how much do you really understand about them? In this section, you will learn the very basics about this fantastic material. The metal lathe is simply an awesome machine tool! You can do so many different things with this versatile machine, it really is an essential tool for any designer or engineer interested in working with metal. ​The metal lathes can be a dangerous tool, so make sure you are trained in all safety aspects before going near one.